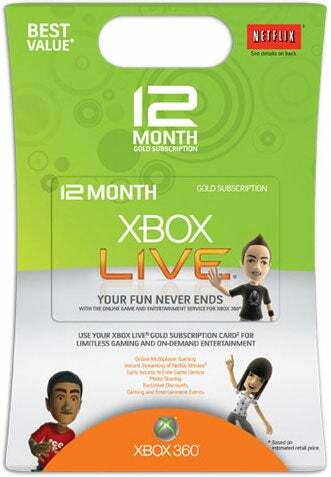 It's easy to assume that most people who connect their Xbox 360 consoles to the internet have an Xbox Live Gold subscription. But nope. Turns out a lot of you don't. "Of our 25 million members, about half of them are subscribers to the business and pay us about $60 a year for that," Microsoft's Dennis Durkin said earlier today at the Credit Suisse Annual Technology Conference in Phoenix. "So it's a very large business for us and for our partners." He's beating the revenue drum there, but surely Microsoft would be quietly disappointed that only half the console's online userbase is coughing up $60 a year for an Xbox Live Gold subscription when it's been marketed as one of the real cornerstones of the Xbox 360. Interestingly, as important as those subscription fees would seem to Xbox Live's bottom line, they're actually not the service's big breadwinner. That honour instead goes to digital content, with combined sales of downloadable content, avatar gear and media bringing in more money for Microsoft than millions of people paying $60 a year.